I am thankful to Sushmita Malakar for passing on the baton of spreading Christmas joy and spirit. A lot happened this year. Good and bad. Best and worse. And I can safely say I am not the same person I was at the beginning of it all. Christmas is always a pit stop for me. In terms of looking back. Cause new years is so much about meeting and greeting. Christmas is about me. I hold it close to my heart in ways perhaps I can never explain. Could I say it is because my mother always threw a Christmas party in our house and dressed as Santa herself? Or that my father helped me make infinite number of decorations to be pasted with Fevicol on the walls, only to be removed through a new cycle of whitewashing and paint! Or because we had a joint Christmas service with the ‘boys’ school and it gave us months worth of gossips for lunch breaks? Or simply because through all this, it made sense. Simple ideas, even more meaningful ways of telling us to be good. Happy and peaceful. Image is a fabulous creation of Corinne isn’t she lovely? So as I take my yearly pit stop, what did I learn through the last 365 days of 2015? To many out there I wish to narrate a personal story. Losing my mother was obviously the hardest thing a thirteen year old me could undergo. But what was worse was losing my pillar of support. I felt I was out there aimlessly moving across seas. Not doing enough or perhaps doing something exact opposite that was needed. I lost out on my self-confidence. My smile. My laughter. And more importantly I completely lost faith in my ability to achieve. Not betting on ourselves should be a sin unto law. But I had a guardian angel somewhere. A mentor. Who was quick to notice my quiet smiles and nods and non-committal outlook over everything. The delusions of grandeur had been replaced by self sustained bouts of doubts. And he suggested something. Without any explanation or even the slightest hint of background that he had obviously perceived. I found this rather amusing. But the seriousness (and of course the respect he commanded in my eyes) with which he spoke, I followed through. It took me a year but I changed. The process kicked in. Of course another four years of college and slightly beyond I found a lot of myself back. Still not the defiant, I-can-murder-someone-and-mommy-will-take-care. But yes there, almost. I learned a huge lesson through that, one I re-stressed this year through many events. Tell me tonight, what do you reflect upon this Christmas? Do you love me yourself? I now invite very own Apoorva Kapoor to spread the message of Christmas and new years on their blog. Hugs, dear girl. You’re doing a great job of being you and making your mother proud! 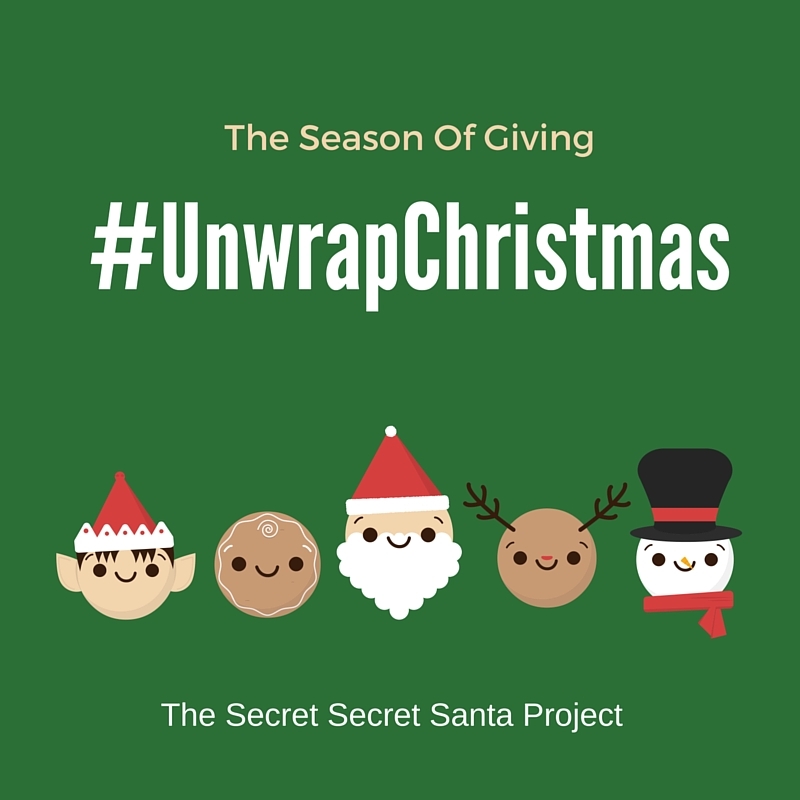 So much fun to #UnwrapChristmas with you! really @corinne she just keeps making me love her more every year!!! waat to say girlie… Love the mirror like honesty in your expression..and you really are the best!!! God bless you for successfully emerging from tragedy at such a tender age. You are my hero!! And here I am, worrying about small and insignificant things like the help being on leave,the gas cylinder,the waistline etc. I am so happy to meet you through your blog today. Merry Christmas and a happy new year. Dear Richa, you did your mother proud, and that is really a big something! Be the ‘amazing you’ always! Lucky you had that mentor, with his magic mantra….it did work wonders with you! You have brought happiness and cheer into so many just today by taking on this SS project! Your post was moving, and as usual tugged at the heart! Great post! I think it’s very important to look back cause you learn best through reflection! It must’ve been tough without your mom… But I guess it has only strengthened you over time..
That’s a really lovely post Richa. Kudos to you for coming to terms with the loss at such a young age and succeeding in whatever you wanted to do. Your mentor’s point about writing ‘I am the best’ is so simple yet so true. I guess it’s something we all should incorporate in our lives particularly when we are down and out. Yes one should every now and then. Self love is often self motivation and much needed in such negative times.. Truly heart warming. Love the way you spread Christmas Cheer! Hugs! Couldn’t agree more. Indeed, Christmas is about spreading cheer, You have to be full of love for yourself, to even be able to do that.